The Foundation of the American Academy of Ophthalmology can provide eye care at no out-of-pocket cost to people who qualify through its public service program EyeCare America. The program provides two main services through an online referral center. 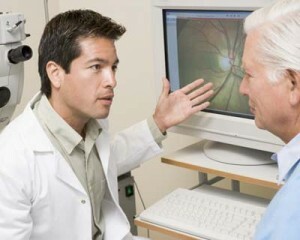 Referrals are given to United States citizens and legal residents who do not have an ophthalmologist. To receive a referral, you can not belong to an HMO or have eye care coverage through Veterans Administration, according to the AAO website. EyeCare America only provides medical eye care. The programs does not cover hospital and surgical facility costs, anesthesiologists, medications and eye prescriptions or cost of glasses. To see if you qualify for EyeCare America, visit the Online Referral Center. To become a volunteer ophthalmologist or partner with the program, visit the AAO website.